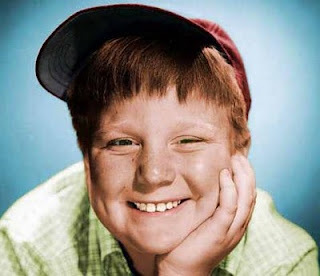 I received an email from reader Peter P. who wanted to know what happened to Rusty Stevens, the child star who appeared on Leave it to Beaver from 1957 until 1960. Rusty Stevens played Theodore "Beaver" Cleaver's best friend, Larry Mondello, on the classic television series Leave it to Beaver. Larry was Beaver's classmate at Grant Avenue Grammar School. He was a pudgy kid, constantly munching on apples and candy bars. He would often lead Beaver into mischief and then run off, leaving Beaver to face the music alone. He would always come up with some excuse such as, "I've got to go home now, Beaver." Rusty left "Leave it to Beaver" in 1960. It has been reported that Rusty's father took a job out of state and that his family moved from Burbank, California to Philadelphia. However, Barbara Billingsley, who played "June Cleaver," shed a different light on Rusty's departure, In a July 2000 interview with the Archive of American television, Barbara stated, "We all loved Rusty so much. He was so good in that role. And, unfortunately they had to let him go . . . Because his mother was such a pain." She went on to say that his overbearing mother would go to the producer's office and make demands. Robert "Rusty" Stevens was born in Boston, Massachusetts on December 25, 1948 (some sources say November 25). He began acting after moving with his parents to Burbank. From 1957 until 1960, Rusty appeared as Larry Mondello in 67 of Leave it to Beaver's 235 episodes (68 if you include the last episode in which he appeared in flashback. His first appearance occurred in an episode entitled "Beaver's Crush" (Season 1, Episode 8, Air Date: November 22, 1957). Larry was not too bright and he didn't have an ideal home life. His father was always out of town and never around to give him any guidance. His harried mother, Margaret Mondello (Madge Blake), was full of anxiety from having to deal with Larry alone. During the early 1960s, after his departure from Leave it to Beaver, Rusty made guest-appearances on TV series such as Angel (1960), National Velvet (1961) My Three Sons (1962), Perry Mason (1962), Wagon Train (1963) and The Rifleman (1963). Below is a photo of Rusty in a 1963 episode of The Rifleman entitled "Hostages to Fortune" (Season 5, Episode 18, Air Date: February 4, 1963). He played a boy named Melvin in the episode. After his appearance on The Rifleman, Rusty seemed to drop out of sight. In fact, he kept such a low profile that, according to IMDb.com, the creators of Still the Beaver (1983) hired a detective to locate him. They wanted him to reprise his Larry Mondello role for the CBS TV reunion movie, twenty years after the original show went off the air. home was located and his wife, Theresa (or Teresa) Marinelli, came to the door. When the detective inquired as to whether this was the residence of the former child star, Theresa thought he had the wrong house. She apparently did not know about his past as Larry Mondello, I find that story very difficult to believe. If true, it reveals quite a lot about Rusty. How could he not tell his wife about being a child star? Even if he didn't tell her, wouldn't she have learned about her husband's past as a child actor from someone else? 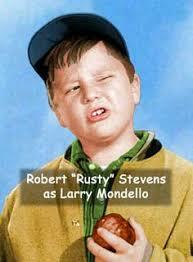 Rusty agreed to reprise his Larry Mondello role in Still the Beaver, which aired on March 19, 1983. He also portrayed Larry in two episodes of the follow-up series, The New Leave it to Beaver. The episodes are "Inside Eddie Haskell" (Season 4, Episode 7, Air Date: November 13, 1988) and "Dads and Grads: Part 2" (Season 4, Episode 26, Air Date: June 4, 1989). 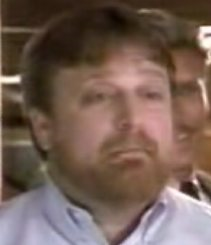 Here is a photo of Rusty in a clip from the 1980s. According to Gary Clothier ("Mr. Know-It-All") in The Star Democrat, an Easton, Maryland newspaper, as of early 2000, Rusty was an insurance salesman in New Jersey. IMDb.com states that he was an "Insurance salesman in New Jersey . 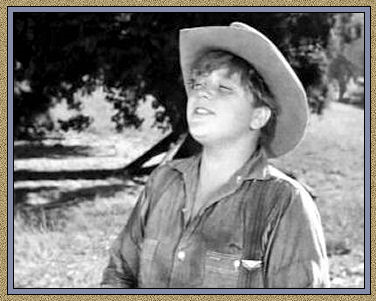 The anonymous author of a website called Rewind Back in Time wrote a January 16, 2007 article entitled "Whatever Happened to Robert "Rusty" Stevens from Leave it to Beaver?" The post was updated in October, 2014. 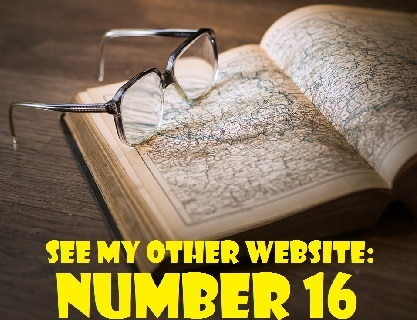 According to the author's research, "Rusty has apparently worked in some or all of the following fields: advertising, insurance salesman and/or real estate." There is a March 28, 2008 comment on that website from someone who thought Rusty "now works at the Home Depot in Egg Harbor Township in Egg Harbor, New Jersey" and claims to know a couple of people who work there with him." There are many such comments about sightings of the mysterious Rusty. They are dubious and unconfirmed. There are also comments from two people who said they went to school with Rusty (at Robert Louis Stevenson Elementary School in Burbank, California and David Starr Jordan Junior High School, also in Burbank). The one who claimed to have attended elementary school with Rusty, wrote about losing contact with him when he moved to a private school for acting. The one who claimed to have attended junior high with Rusty told a story about how he showed up for school one day with green hair, which was considered radical in the early 1960s. * Rusty continues to keep a low profile. He hasn't given any interviews and he avoids the limelight like the plague. To find more up-date-material on him, I would have to hire a detective. So, I do not know if he and his wife, Theresa (or Teresa), are still together. 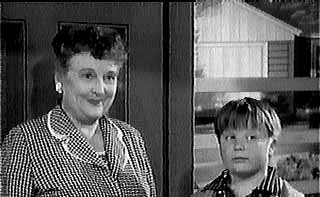 * Madge Blake, who played Larry's long-suffering mother, died on February 19, 1969 after suffering a heart attack. She was 69 at the time of her passing. Madge also played Aunt Harriet Cooper in the 1966-1968 Batman series. * Leave it to Beaver ended its run in 1963, three years after Rusty left the show. He was replaced by Stephen Talbot, who portrayed Beaver's new best friend, Gilbert. I sometimes wonder about what adventures Beaver and Larry would have had if Rusty had stayed on the show and played Larry in his early teenage years. In my opinion, Rusty's portrayal of Larry was more authentic and honest than that any other character on the show. Since you are a very private person, I doubt that you will answer the following request. However, I will still ask anyway. Many Leave it to Beaver fans would enjoy reading a message from you to set the record straight about yourself. There is so much misinformation and speculation. If you are reading this and feel so inclined, please email me and I will post your message on my website. I don't expect you to reply, but I will be surprised and delighted if you do. An email from you would be much appreciated by myself and many others. EDITOR'S UPDATE (October 22, 2018): I received some correspondence from Doug B., who told me he has been friends with Rusty Stevens for about 10 years. He wrote that Rusty was indeed born on Christmas Day, but in Philadelphia, not Boston. He called the story about Rusty's wife Theresa not knowing he was a child star an "urban legend." Rusty is "finally telling some cool Leave it to Beaver stories" after all these years - through Doug.. He does not have his own Facebook page, but Doug has posted his stories and comments on the Leave it to Beaver Fan Club Facebook site. Check it out by clicking on the link below. Little Egg Harbor is where Rusty Stevens lives and works at the Home Depot. How did you confirm that?